The Pramac PX5000 is ready to move where power is needed. Configured with a strong, compact frame with integrated handle and wheels, allows easy transportation. Ready to go out of the box, just add oila nd fuel! 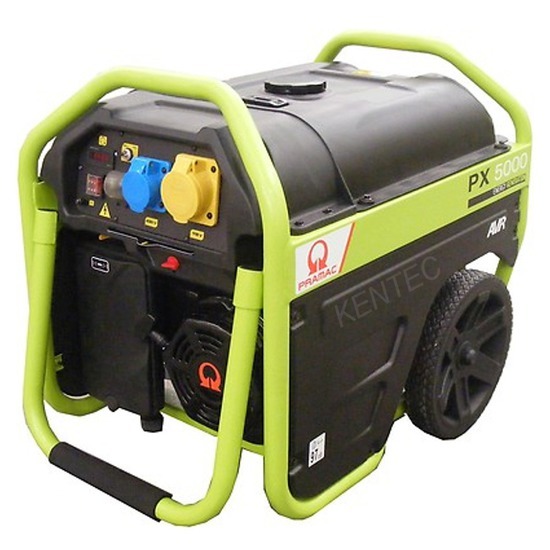 Our opinion: Ideal budget generator for light site use, hobby, home and general use with the convenience of an in built wheel kit for easy manouvrebility. Purchasing through an Authorised Dealer is the only way to ensure that: You are buying a brand-new, Genuine Pramac Generator. Your generator will be covered by Pramac's UK 12 month warranty, any servicing or repair work will be conducted by experienced personnel.